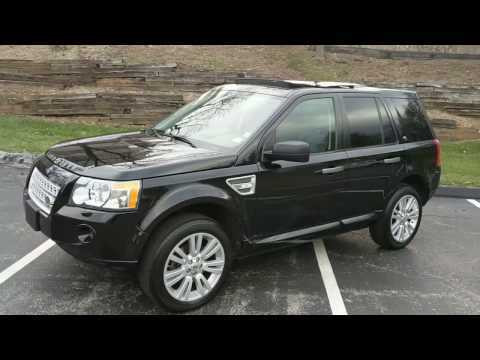 Land rover lr2 amazing car with some annoying problems. My car is amazing from the looks and feel of the interior. It is black on the outside of the car with a rounded square body. The interior is tan leather with wooden and black parts to it. I would say it is a luxury car to most people. Being that it is a 2010 used car it has a few problems. I have also heard land rover's are notorious for having problems. The lining in the back on my car is coming down and that is difficult to fix because of the cars double sunroof. I have had many problems with the alarm of my car randomly going off and did a day to fix it and it has not happened since. It has also had problems with the gas gage. I would be driving and all the sudden my gas would go to zero I just have to stop and restart the car. The last problem I have com across is the car sometimes takes a few tries to turn on even if the battery is fully charged. Other than that my car has amazing comfortability and I love it very much. I have a land rover lr2. I love my vehicle. I have cool features like heated seats, and navigation. The only problem is that it's not good on fuel. It's a great car and I have few mechanical issues. The speed is fast and its a all weather vehicle. I have no problem in the winter when it snows. Maintenance is a bit more expensive, an example is the oil change. I really like my car. It is easy for me to get in and out for me. I do regular maintenance on time which has worked. I use the snow/ice setting which works very well. I do believe in following recommendations which I am sure has kept it working so well.